One of the leading, most read and highly influential Urdu short story writers of the 20th century. Dhanak a collection of Urdu short stories by Ghulam Abbas (published in 1969). Ghulam Abbas was born on the 17th of November 1909 in Amritsar. He received his early education in Lahore and at a very early age found himself responsible for the welfare of his family after his father ‘s untimely demise. An avid reader and writer, he soon found opportunities to publish translations in several Urdu literary journals in Lahore. By the time he was not quite twenty, writing had become a regular source of income for him. This interrupted his education and it was only years later that he completed his Intermediate degree in 1944 from the Punjab University in Lahore. He soon became associated with Lahore’s well-known publishing house Darul Isha’at Punjab, established by Maulvi Mumtaz Ali (Imtiaz Ali Taj’s father). From 1928 to 1937, Ghulam Abbas served as the sub editor for the children’s magazine Phool and the women’s magazine Tehzeeb e Niswan. He wrote and translated several stories for children during this time, the most popularly received of which was his translation of Washington Irving’s Tales of the Alhambra. In 1938 Ghulam Abbas moved to Delhi where he became the editor for All India Radio’s magazine Awaaz. It was during this period that he also wrote his seminal short story Aanandi in 1933. (The story was adapted for the film Mandi by the Indian director Shyam Benegal). He continued to translate many texts and wrote several other original works until in 1948 his first collection of short stories, also titled Aanandi was published. The collection included Iss Hamaam Mein, which proved Ghulam Abbas’ mastery over lengthier stories. With the creation of Pakistan, Ghulam Abbas moved to Karachi and initiated Radio Pakistan’s magazine Aahung. In 1949 he became associated with the Ministry of Information and Broadcasting, and later with the BBC in London. 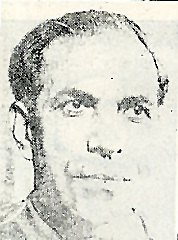 Upon his return in 1952 he re-joined Radio Pakistan and remained there until his retirement in 1967. He published a collection of his stories Jaaray ki Chaandni in 1960 for which he was earned the Adamjee Literary Award. 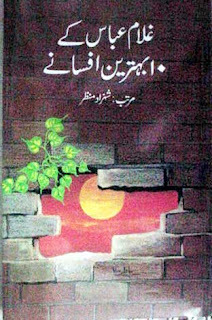 In 1969 his third collection of stories Kun Russ was published in Lahore. The story Dhanak was also published in the same year. (This was adapted by Ajoka Theatre in 2011 under the title Hotel Mohen jo Daro). 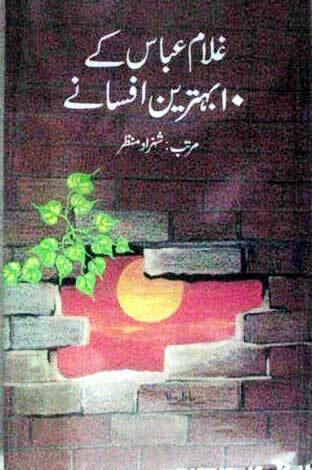 In 1986 the author revised an earlier version of his story Gondni wala Takiya and published it in a book form. In this last phase of his career, he wrote many stories, some of which were not included in any publication and are therefore lesser known. A memorable work from this period, Reengnay Walay was initially published in the journal Naya Daur and has since been published in a collection of Ghulam Abbas’ short stories by Oxford University Press Pakistan in 2013. Other works include Chaand Tara, a collection of poems for children and a selection from the children’s magazine Phool. In 1967, Ghulam Abas was awarded the Sitara e Imtiaz Award by the Government of Pakistan. In the last years of his life he continued to live in Karachi and was associated several literary projects. A collection of his entire works, Zindagi Naqaab Chehray was compiled and published posthumously in 1984. Quratulain Hyder calls Ghulam Abbas the ‘empire builder’ of the short story tradition. She describes his style to be distinct in its silent yet confident approach that captures a reader’s attention without relying on overt or sensational approaches. Ghulam Abbas died in 1982 in Karachi. The above text has been translated from Asif Farrukhi’s foreward from the book Intekhaab – Ghulam Abbas, compiled by Asif Farrukhi, Karachi: Oxford University Press, 2013. Muhammad Hasan Askari’s analysis of Ghulam Abbas as a short story writer clearly distinguishes him for the sense of serenity and restraint in his writing as compared to his younger contemporaries who wrote with a passion to bring change to society. Abbas’ modest approach failed to gain him the popularity that the younger writers received, but this did not deter him from writing powerful works such as Aanandi, which became one of the biggest successes of that period. His meticulous approach lent his style an unmatched strength, resulting in powerfully knit stories that thrived on detail. Inherent in his work was a prevailing sense of atmosphere that enlivened and transformed his accounts. His sense of foresightedness is reflected in Dhanak (1969), a futuristic tale that eerily demonstrates the present day conditions of Pakistan. Ghulam Abbas (Urdu: غلام عباس ) was a short story writer. He was born in Amritsar, India and died in 1982 in Karachi, Sindh, Pakistan. His short stories have a distinct style in Urdu literature. His short stories AAnandi and Overcoat earned him international fame. His fame is purely because of his literary genius. He became popular without associating himself or depending on any of the literary movement or group. Aanandi, JaaDay ki Chaandni and Kan ras are his famous books containing remarkable short stories. What fascinated him more than any other thing was human nature and how it responds to stress and emotion and the many pangs that life subjects us all to. Most of his stories were short on action and plot because his real purpose was to reveal the inner working and evolution of the character rather than tell an exciting tale. His influence in Urdu short story writing has been both long and deep. In his short stories he often exposes shortcomings, weaknesses and hypocrisy in human beings. But his tone is never sarcastic or venomous. He does not like affection and pretension but he never makes fun of the people having these shortcomings. Nor does he aim to bring any social revolution. His observation is keen and his knowledge of human psychology is deep. His diction is simple but effective. Jaray Ki Chandni (Moonlight in Winter) is the best known book of Gulam Abbas and contains many of his most famous stories. He was a great admirer of the Russian short story tradition and loved the work of Chekov and Gorky. However the writer he most admired and modeled himself on was Maupassant. His love of poetry, specially Urdu poetry was abiding and deep, but he never ventured into it himself seriously. Once he was asked why and he said that he had tried it several times privately, but was never satisfied with the quality of his work so he destroyed it without showing it to anybody. In the same way he was meticulous with his short stories. He could spend hours on a single page, culling, culling, culling, cutting, cutting, cutting. His goal was a page without even one unnecessary word or, for that matter, punctuation mark. His family originally came from Afghanistan in the mid-19th century, as a result of political upheaval related to Dost Mohommed. They settled first in Ludhiana and then moved to Amritsar and later Lahore. He spoke several languages including Persian, Punjabi, Urdu and English. His family's tribal affiliations were with the Sadozai but he simply called himself Ghulam Abbas without adding any tribal titles or trappings. He was a Muslim and loved his heritage, but was not an ardent practitioner of the faith. In fact he was deeply suspicious of religiosity which he regarded as a particularly dangerous form of educated ignorance. He believed in the right of people to live out their lives as they wished to so long as they did not infringe on the lives of other people. For this reason he disliked theocracy of any kind as he felt it would eventually lead to political dictatorship and intellectual darkness. In 1967 he wrote a short story called Hotel Mohenjodaro which visualised the consequences of theocratic government as it might apply to Pakistan. The result was a tale, darker in spirit than his usual skeptical but gentle unveiling of human absurdity and pain. It visualised a society blighted and damned by obscurantism and religiosity where every creative and productive endeavour is stilted and stunted by ignorant mullahs and people live like captive fish in a stagnant and stinking pond. In 1979, with the coming to power of the mullahs in Iran the world got to see what such a state would be like. Nearer to home, the social atmosphere in Pakistan during and after the time of Zia ul Haq and the rise of religiosity that accompanied it was very close to the vision of Ghulam Abbas. One may well wonder if the story was an artistic creation, or more in the nature of a vision, a phantasmagoria from which one awakes shuddering that such things might yet be. Ghulam Abbas was married twice. His first wife was called Zakira and he had five children with her including four daughters and a son. His second wife was an English woman named Christian (renamed Zainab) with whom he had a son and three daughters. She died on February 19, 2009 in Karachi, Pakistan. One daughter, named Mrs Mariam Shera founded the school in Pakistan, Froebel Education Centre which is located in Clifton. His other children, all of whom are resident abroad, are mostly in Canada. His eldest son, a medical doctor, Dr. Ali Sajjad Abbas, died in 2007 in western Canada of a heart related ailment.